I received the best news yesterday morning - my younger sister Cas had a little baby girl. She's soooo adorable, I can't wait to go and have a big cuddle! This means my Father now has two sisters, three daughters and six granddaughters! I would say he's the luckiest man alive, wouldn't you? 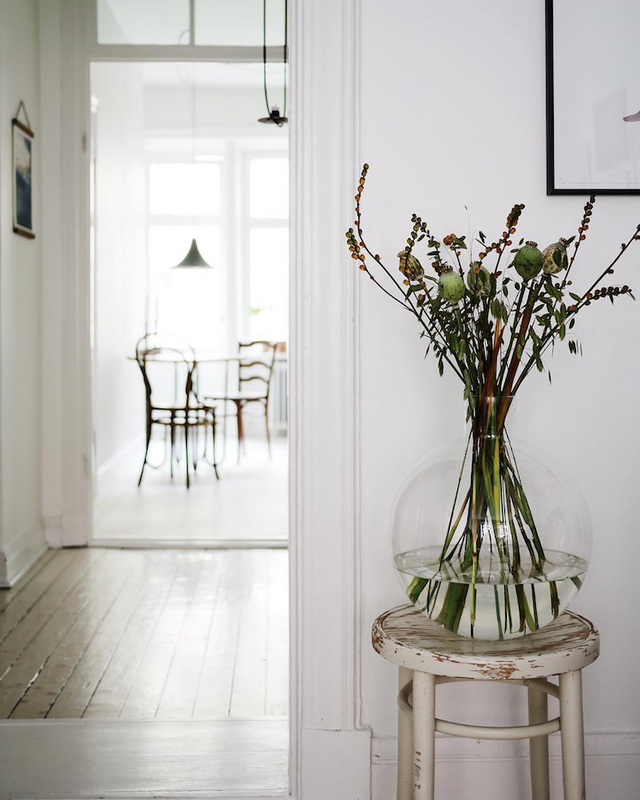 I know two more lucky people - the owners of this beautiful apartment in Linnestaden, Gothenburg! 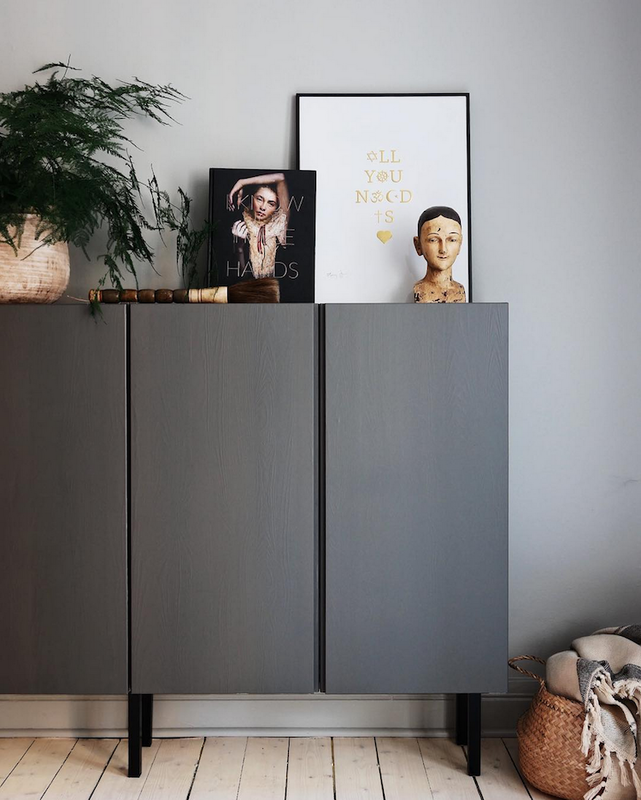 Karin, an interior stylist and Magnus, a photographer have decorated their home with a Scandinavian feel using lots of natural materials, a muted colour palette and mix of textures. 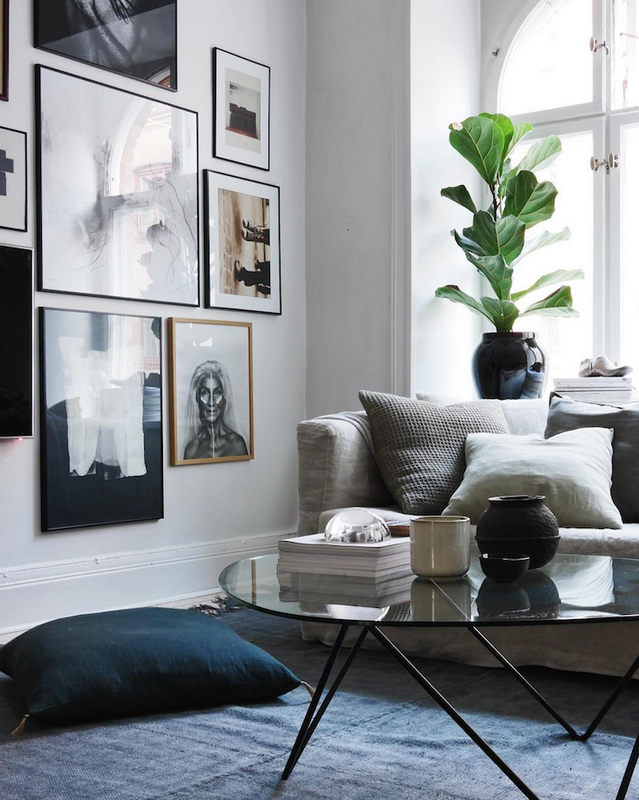 "We try to blend older items with new and create a personal touch with art and prints on the walls," Karin tells me. Enjoy the tour! What a beautiful home? 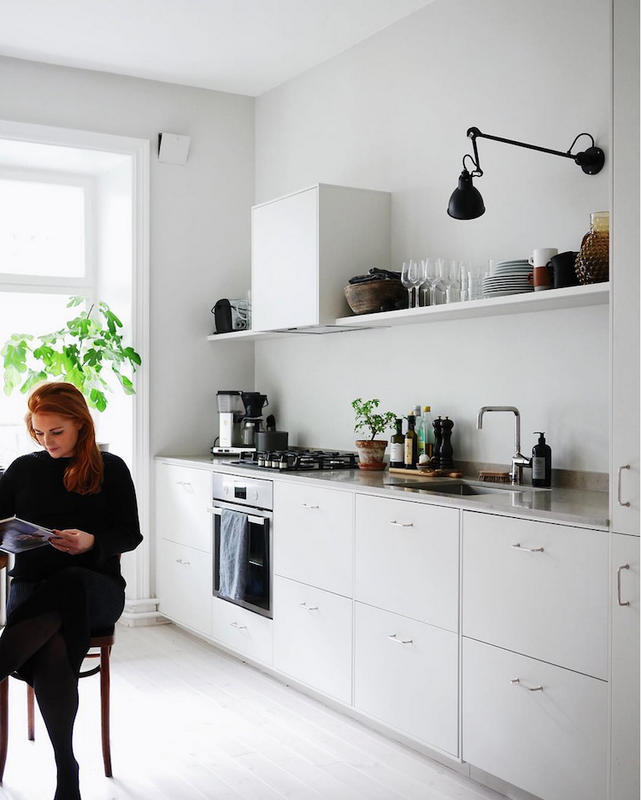 Karin and Magnus have such an effortless sense of style - and I love the light (such lovely photography!). 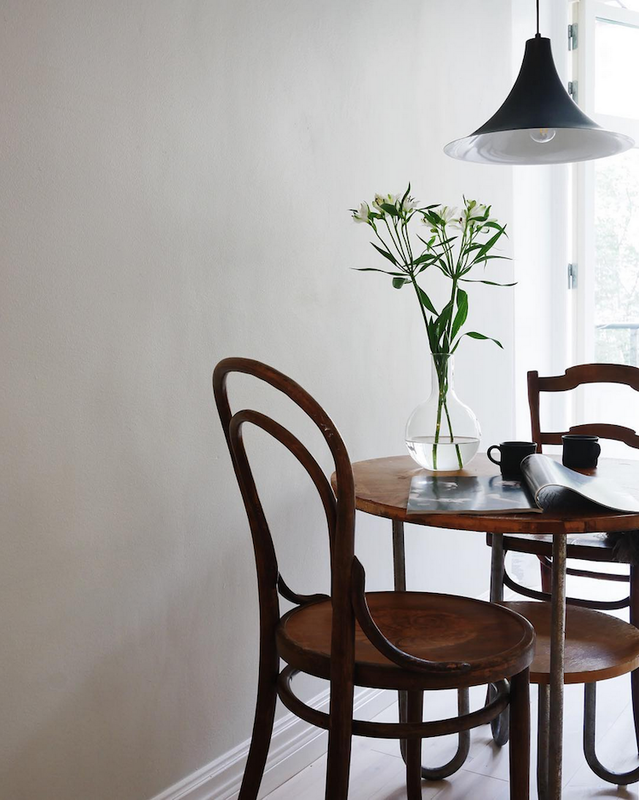 To get the look the pair recommend "treating your home as one unit, and not a load of separate rooms. 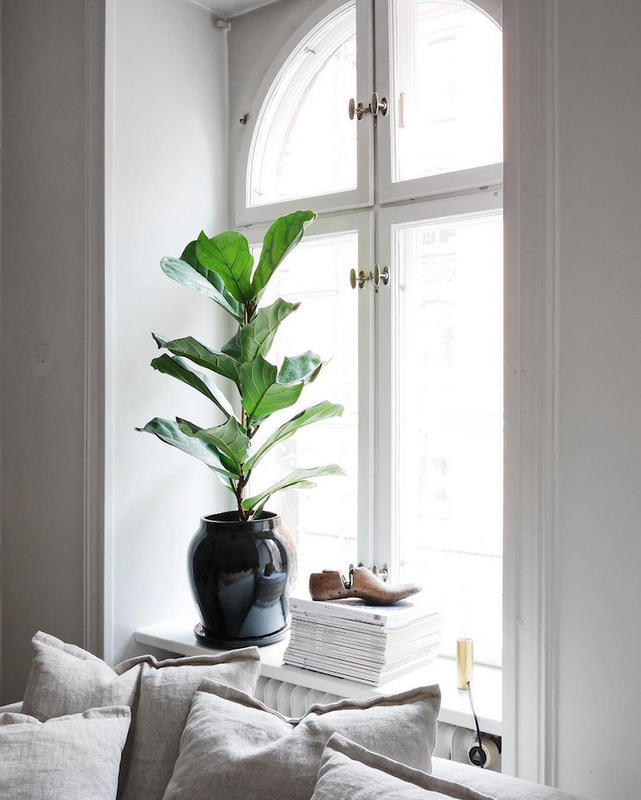 Make sure the different colours go together and use similar materials throughout to create a calming environment." 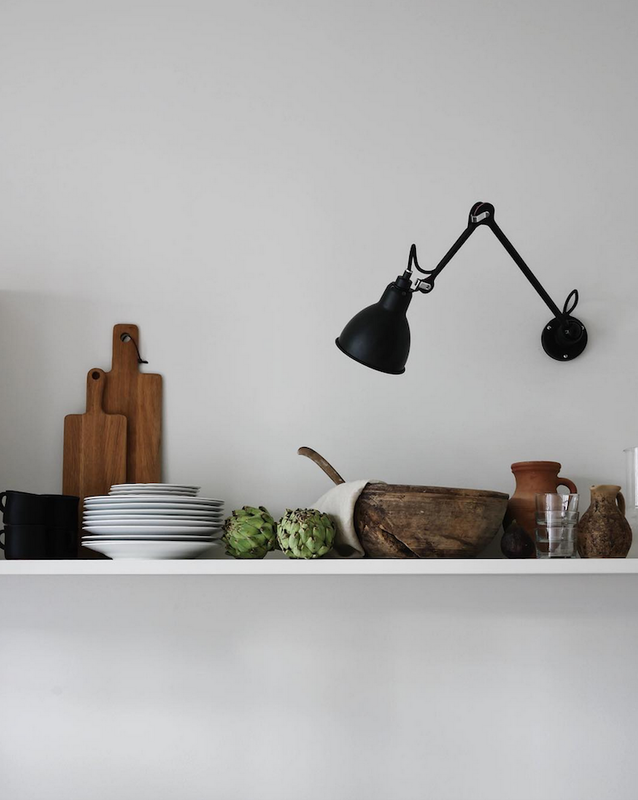 Here's a quick guide to some of the lovely items: kitchen - lampe gras, tap from Nivito, the fabulous Gubi pendant light is similar. 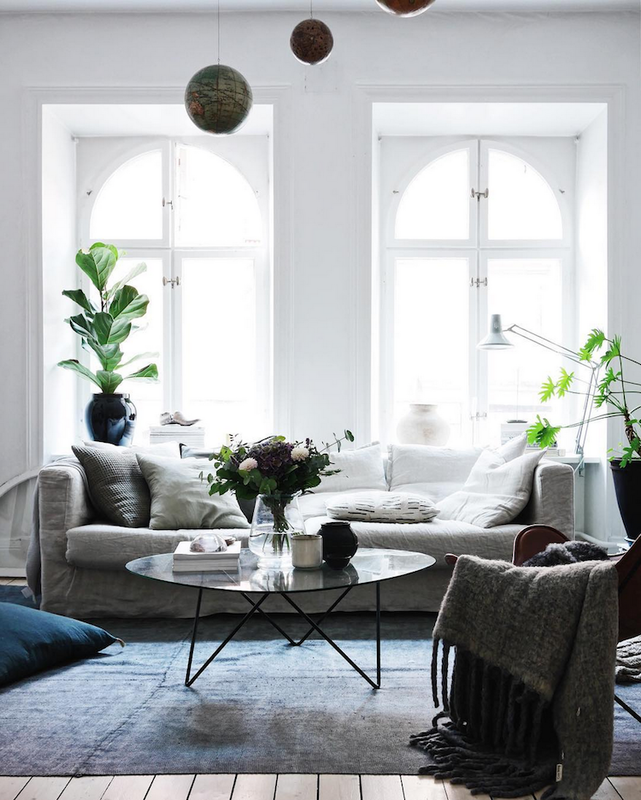 Sitting room - Pick up a similar sofa at IKEA and cover it with a Bemz urban loose fit cover in linen, Gubi lounge table, stonewashed linen cushions, IKEA cupboards painted in Jotun Lady paint. 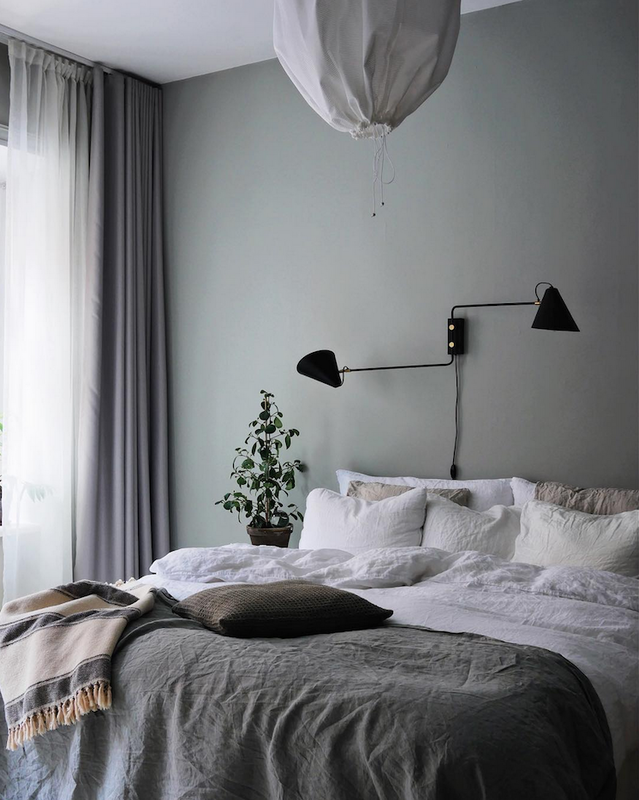 Bedroom - stonewashed white linen bedding, Club double wall light by House Doctor, wall colour from Jotun Lady. 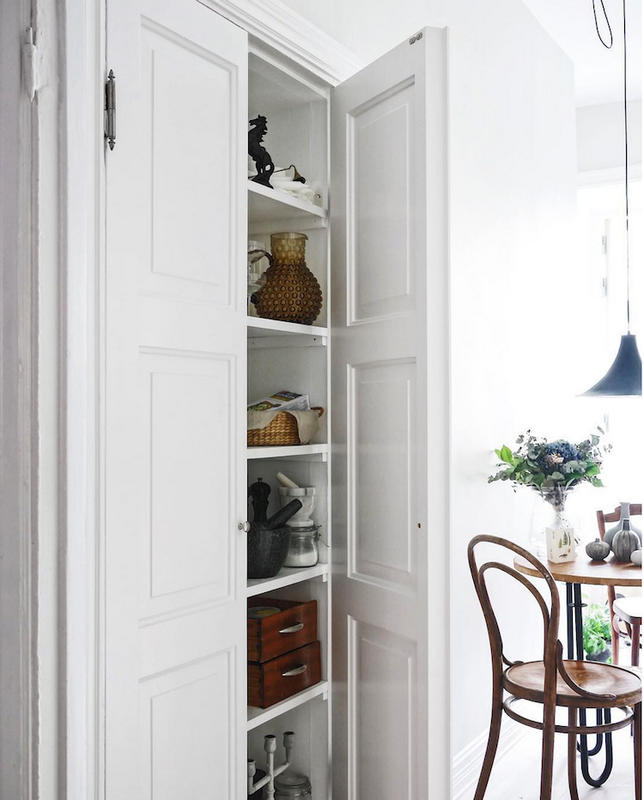 You can see more of Karin and Magnus's home and follow the renovation on their inspiring instagram feed - a must follow! Oh and they are expecting their first child in January - congratulations Karin and Magnus! Have a great start to the week all! PS Thank you so much to Elle magazine France for including my Lagom book in their pick of top ten books to read this November - what an honour! (my book is also available in English here and here). I am happy you asked this. One is the US version and the other is the UK version. each publisher decided to go with a cover that they felt better suited their market. The content inside is exactly the same. I hope this helps! Beautiful home tour today, Niki! 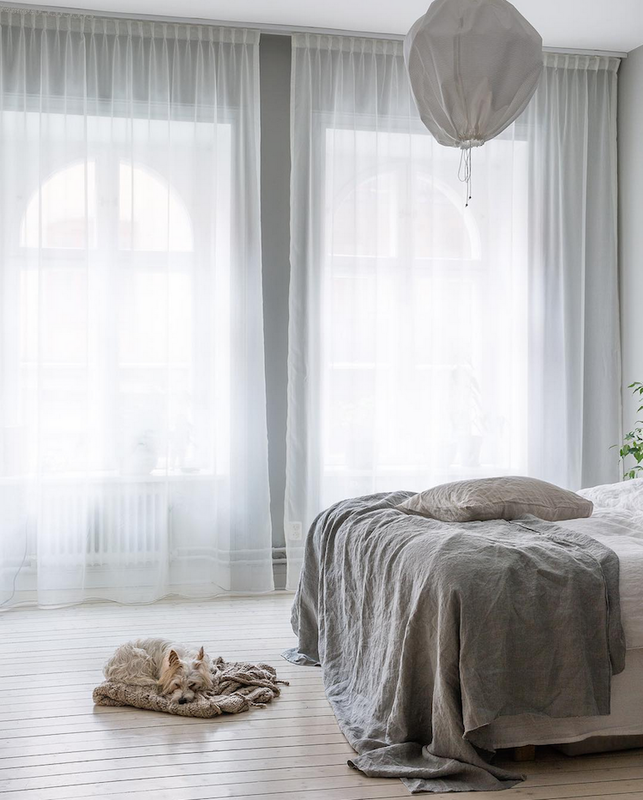 I just love the bright light of this one, and that grayish-green in the bedroom is gorgeous. Another lovely home! 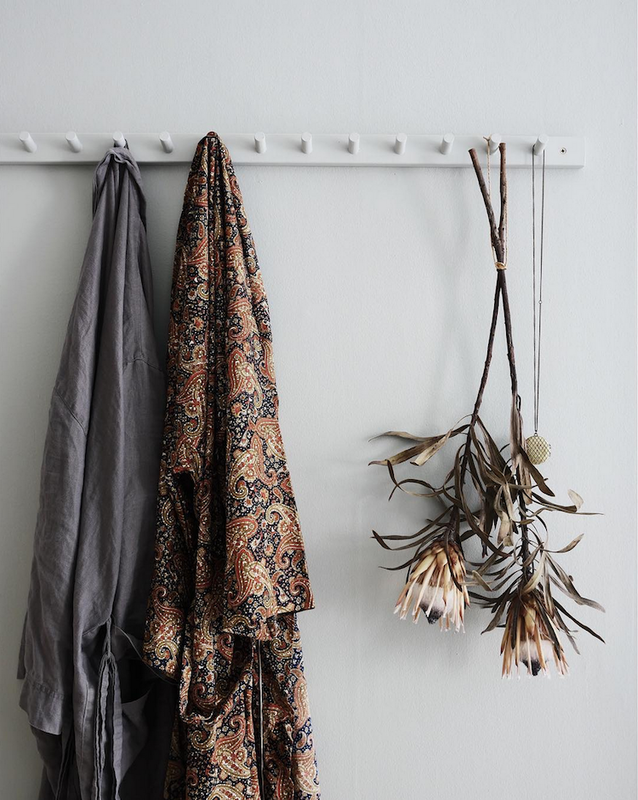 Peg rail is such a great idea. Sl Awnings , Hi there , awesome blog , we design exterior of houses take a look if you like our work. Very Nice Visualizations! Work Looks Eye-Catching! Oh that cute little doggie curled up on the blankie in the bedroom! I only hope he/she has its own comfortable bed (or gets to sleep with his/her owners in the big bed).